Atlas Cover. Click to enlarge. "First ever" month-by-month and site-by-site examination of an invisible water resource that has the potential for filling some of California's drinking-water supply needs. Scroll down for a 5-page preview! 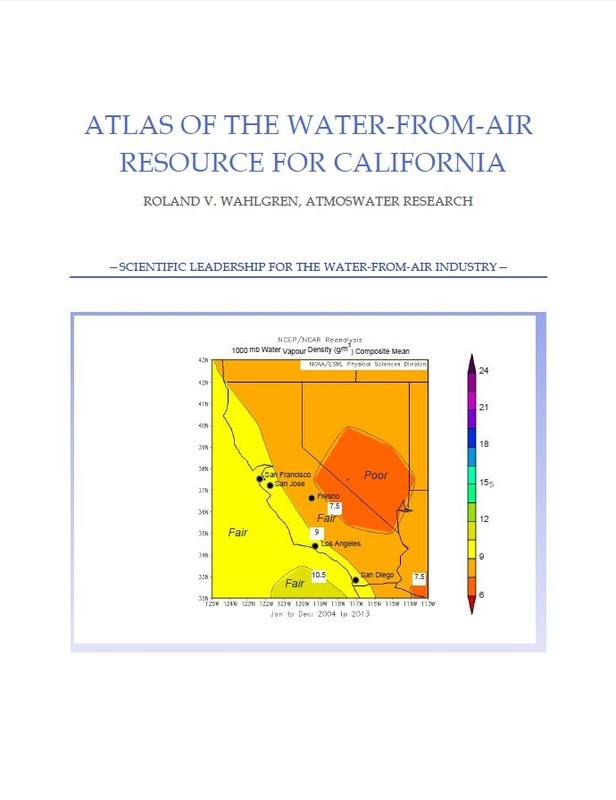 Atlas of the Water-from-Air Resource for California (45 pages; 15 maps; 17 charts). Preview the first five pages of the Atlas using the download link below.